A guided tour of San Diego's best nightlife. Visiting San Diego can be tough. What nightclubs to go to? How do I get in? Am I paying too much? How do I meet people? If you don’t find the right places, or get the right advice you will waste a night. A night out could turn into an expensive, stuck in the cold, waiting at the wrong party, nightmare, real quick. 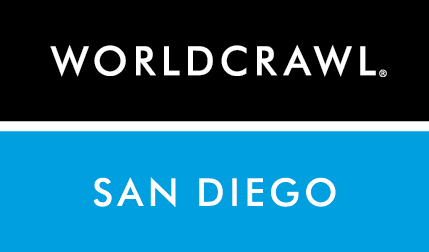 World Crawl is completely independent, and we know nightlife. It’s our passion. Every week we choose the right bars and best clubs to be at. We have extensive relationships with everyone in San Diego. That means we get great deals and unparalleled access. We pass this directly to you. A night out with World Crawl gets you in to the BEST CLUBS FAST, SAVES YOU HUGE and makes for the EASIEST night out in a new city. All of that is included in your ticket!